Carlo Collodi's The Adventures of Pinocchio, first published in 1883, has been adapted in many ways and translated into many languages. 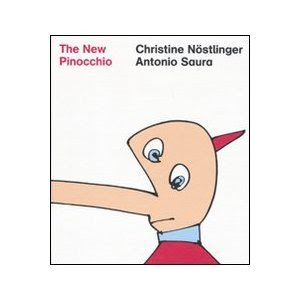 Here, award-winning German children's book writer Christine Nöstlinger and renowned Spanish artist Antonio Saura offer The New Pinocchio, with entirely original illustrations. First published to great acclaim in Spain in 1994, this stunning new edition is now available in English.